Today is the last day of 48 hour sale from Converse. 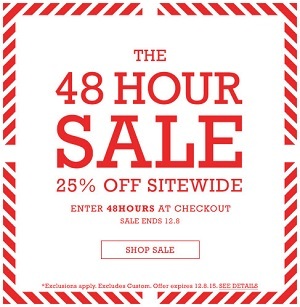 Take 25% off sitewide. The offer is valid online only. To receive the offer enter promo code 48HOURS at checkout. Hurry up, offer ends today (12/08/2015). Source of the information is Converse. More details available on the official website.